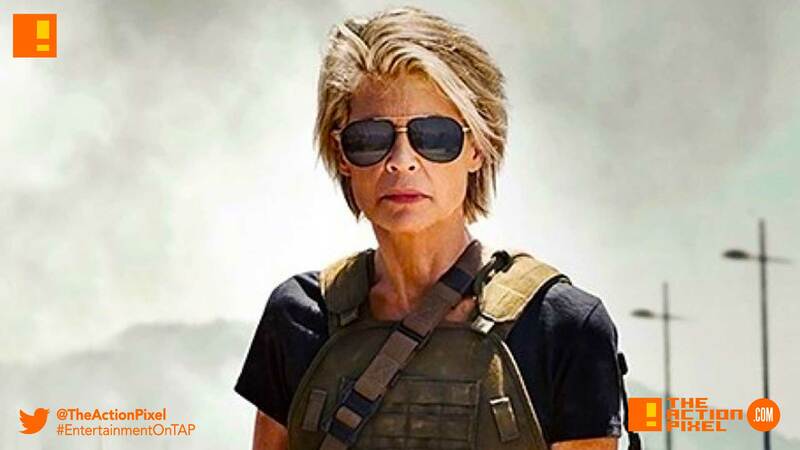 Paramount Pictures has released the first look image for the next chapter of the Terminator saga, and it features actor Linda Hamilton reprising her role as the mother of all sci-fi female bad-asses – Sarah Connor and she still looks prepared to take on all SkyNet can throw at her. The image also features newcomers represented by actors Natalia Reyes, who plays a character called Dani, and Mackenzie Davis. This follows news of the casting of Gabriel Luna as the Terminator as well as the return of Linda Hamilton and Arnold Schwarzenegger to the film franchise. The film is on the books to be shot starting in May and will be directed by Deadpool‘s Tim Miller.